If you’re using Sitecore 7.2 (or 7.5), you’ll notice that the traditional interface for browsing through media items has been improved. What was once the traditional SHEER version of the media browse/upload user interface has now become a more attractive SPEAK version of that interface. It’s a very welcome change, of course, but I did encounter a small issue with it. In our case, we had assigned specific permissions to folders in the Media Library for our authors. Certain authors had only read permissions to some folders, while others could write as well. 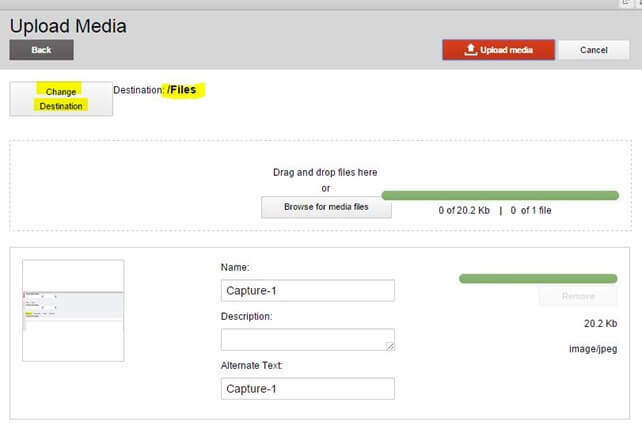 Unfortunately, the new SPEAK media browse/upload interface allows users to begin the upload process to a folder in which they do not have write permissions, and then crashes after the upload completes. Additionally, the side-effect of this crash is that an item is actually created in that folder without any media attached to it. You can see this in the screenshots below. Figure 1. The upload begins, reaches 100%, and then crashes. Figure 2. 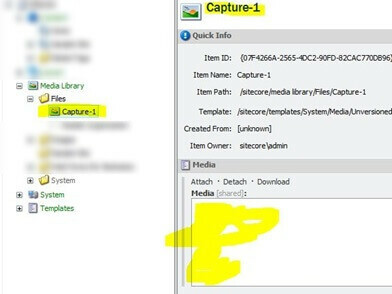 An item was created in the Media Library folder, with no media attached. Note that using the older version of the UI also provides additional features that did not make it to the new UI, such as the ability to move and delete items directly from the media browse/upload dialog.